Marjory Close was born in Hull on May 1st 1923. When she was three the family moved to Bridlington. Marjory attended Oxford Street Primary and won a scholarship to Bridlington Girls' High School. Much of her final examination preparation there had been disturbed by broken nights, due to bombing, and on matriculation she was advised to go for teacher training at Goldsmith's College, which had moved from London to Nottingham because of the war, but life there was also disrupted by bombing. It was while there that she made lifelong friends with June and Joyce. When Marjory qualified as a teacher she was first employed as a science teacher in a secondary school in Hull, working in a building that had been condemned before the war but had to continue in use. She was in a connected suite of rooms, so her lessons were disrupted by changeover of lessons in the other rooms, as well as having to deputise for the Head, whose room adjoined hers, to answer the phone when necessary. Marjory decided she wanted to pursue a career in Chemistry, so she attended Technical College by evenings to get her Maths up to speed, then applied to Hull University, where she read Chemistry. On graduating she hoped to go into research but was not allowed to, as she had already been teaching and there was still a shortage of teachers. It was then that she applied to Wolverhampton Girls' High and was appointed by Miss Scargill. Marjory and Sylvia Stanyer (nee Webb-Fowler) started in the same year 1951, had lockers next to each other in the staff room and thus became friends. Marjory said "Otherwise I'd never have made friends with an artist "! Living in digs in Wolverhampton Marjory went to cookery classes and began a lifelong interest in soft furnishing, still attending classes in her latter years at Abbeyfield to make a new set of cushions for her lounge suite. Eventually she learned to drive and when her mother could no longer manage on her own in Bridlington, Marjory bought a bungalow in Codsall (on Betty Kuphal's recommendation) for them to share. Staunch Methodists, they joined the chapel in Codsall, which Marjory attended regularly for the rest of her life. Betty encouraged Marjory to become a member of the W.I. and of Toch H, and in due course was on the committees of both, locally and also Toch H Ladies house in Cromford, Derbyshire. Betty and Marjory would enjoy outings in their cars with their mothers sitting the back, chattering away, both very deaf so not hearing each other very well. Betty, with Marjory's assistance, ran several STS holidays abroad for school; they were part of a large group, which went to Oberammergau in 1960, and also to the Alps with Pat Tacey and Marjorie Churm (staff members). After their mothers died they began a series of their own super holidays abroad, three times visiting Miss Meredith in Malawi and going to Bali, China, Sri Lanka, New Zealand, Egypt, Norway, Albania, Czechoslovakia , Iceland and America (being disappointed not to see the Grand Canyon, having been advertised as part of the tour) and cruises on the rivers Ebro, Danube and Po. Marjory had got a taste for foreign travel after visiting Switzerland with her mother soon after the war ended. She also visited an old school friend who'd married a Norwegian. Amongst many Toch H holidays she and Betty went to Talbot House in Poperinghe, the original house set up for soldiers of WW1 by the Rev P.T. (Tubby) Clayton; the battlefields and the Menin Gate in Ypres. There was a notable W.I. holiday in Scotland when the coach caught fire- luckily no one was hurt and the luggage was undamaged. They also enjoyed several holidays in Spain in the house owned by Marjory's beloved brother John and his wife Freda. At WGHS Marjory eventually became Head of Science; she was a meticulous chemist and a patient and inspirational teacher. Later she was in charge of doing the timetable (which meant a lot of double lessons for linguists, as Languages and Science were often timetabled against one another). Marjory was for many years Audley House mistress, the second (after Miss Griffiths), and when she retired in July 1985, the House gave her some golden rose bushes, of which she was very proud. After retiring from school she attended Wolverhampton Polytechnic, doing a PhD in Chemistry – at long last able to pursue her interest in research. In 1993 Wolverhampton University published her thesis: "The Chemistry of Polycyclic-omegahydroxylactames". Then she began an O.U. degree in Maths, but did not complete it. A very reticent person in her own achievements, she used to say when in the care home, she didn't let on about her doctorate as the residents would think she were a medical doctor. In 1993 Betty Kuphal organised a surprise 70th birthday party for Marjory at Park Hall Hotel, where they occasionally went for Sunday lunch. Her brother and his wife, old friends June and Joyce and staff including Dorothy Hurn, Margaret Parsons and Beryl Hargreaves attended this party It was a lovely sight to witness her surprise as she came round the corner into the room with Betty, to find everyone waiting for her. When Betty died unexpectedly early in 2006 it was as if something broke in Marjory's life too. They had been good friends for such a long time, had done many things together especially since retirement, enjoyed solving crossword puzzles and shared a love of reading, latterly enjoying the Yorkshire flavour of Gervaise Phinn's books. Marjory was a very private person who depended on her old friends, not finding it easy to make new ones. After a spell in hospital over Christmas 2010, Marjory moved "temporarily" to Abbeyfield House in Codsall where she stayed until after her 90th birthday (which she had had to celebrate in hospital), when she required more nursing care and moved to Abbey Lodge. 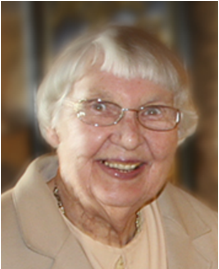 She died peacefully in New Cross on 31st July 2014 after a short illness, leaving a niece, nephew and sister in law. Her funeral was exceptionally well attended and her life affectionately remembered by her Minister, family friends, colleagues and past pupils. She will be remembered fondly and sadly missed by all. The announcement of Miss Close's passing got a good response from past pupils. It also prompted a tree planting in her memory. Click on the graphic to take a look!